Printed to add charm. 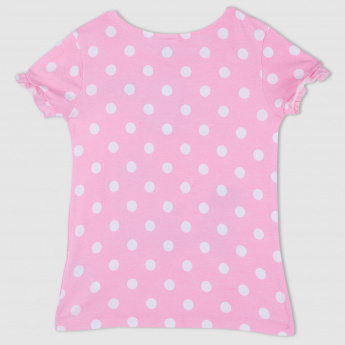 this attractive t-shirt will make your kid look great. 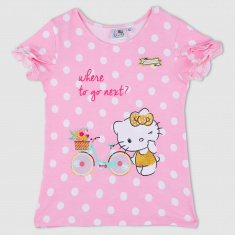 Soft and trendy, this lovely piece of clothing has your kids favourite Hello Kitty on the front.